When the AG reiterated that Revanth had already been released, the bench shot back that the issue was not about his release, but if the detention was legal at all. 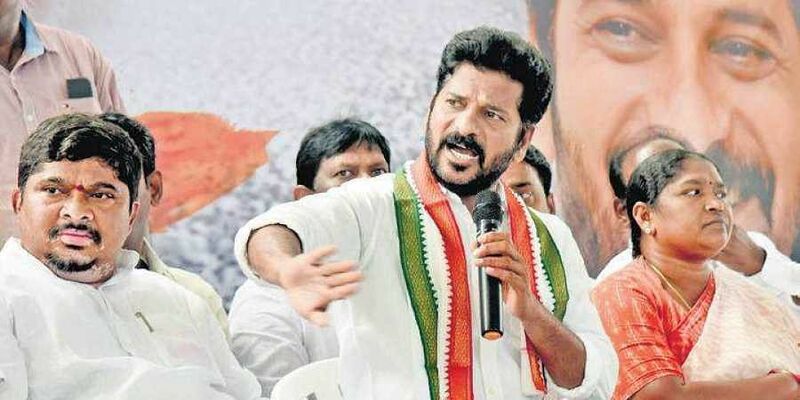 HYDERABAD: A division bench of the Hyderabad High Court on Wednesday rapped the Telangana police for submitting to the court an intelligence report and documents with no signature, date or office seal on them upon which the police depended to detain TPCC working president and Kodangal candidate Revanth Reddy from the intervening night of Monday and Tuesday. “These documents do not have any legal sanctity. There is scope for them to be misused by unscrupulous elements and can land the police in trouble,” the Bench observed and directed the State government to file a detailed counter affidavit in the case. The bench comprising Justice Raghavendra Singh Chauhan and Justice M Satyanarayana Murthy made the observation while looking into a habeas corpus petition filed by former MLA Vem Narender Reddy challenging the alleged illegal detention. Pursuant to an earlier direction by the court, Telangana Advocate General BS Prasad placed before the bench the documents based on which the police detained Revanth. The Bench stated that the documents seemed fabricated and might as well have been illegal. Finding fault with the police over the manner in which Revanth was accosted —around fifty cops barged into his house and some even entered his bedroom at midnight, the Bench summoned State DGP M Mahendra Reddy for an explanation. The court asked the State police if they would have behaved the same way if it was a ruling party leader that they had to detain. “Police misused their power and acted in an undemocratic way while detaining Revanth,” it said and added that the way the police were reacting to dissent sent a wrong message to the people. The bench directed the AG to ensure that the DGP appeared before it at 2.15 pm the same day to explain who had instructed the Vikarabad SP to detain Revanth at midnight. The DGP appeared before the Bench as directed and said the police had acted as per a letter from the Telangana Chief Electoral Officer after the TRS filed a complaint saying there was a chance the Congress leader may instigate clashes during Chief Minister K Chandrasekhar Rao’s election meeting in Kodangal segment. Revanth was freed after the CEO intervened, he added. When asked why the documents lacked any official seal or sign, the top cop said the messages “flashed in exigency situation do not bear the signatures of the officers”. After getting a communique from the Election Commission, the Vikarabad SP held a meeting with the district returning officer who in turn issued a notice to Revanth Reddy stating that action would be taken against him under the People’s Act if he resorted to unlawful activities. Not satisfied with the submissions of the DGP, the bench pointed out that the CEO’s letter addressed to the DGP too did not have his signature. “The Court has no confidence in the documents placed before it,” the Bench said and asked Mahendra Reddy why the police had initiated action against Revanth under Section 151 CrPC instead of keeping him under house arrest.